on Feb 6 – Feb 28. Super excited that I got asked to participate! 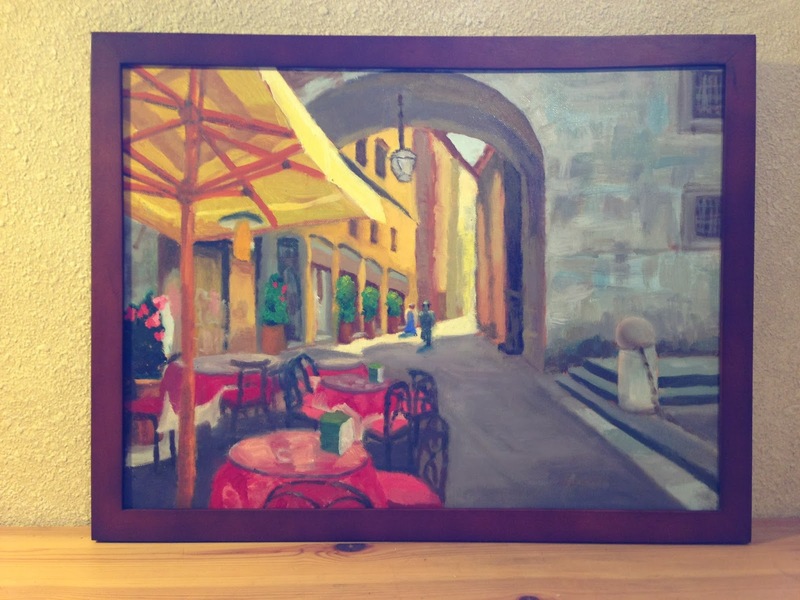 “Lucca, Early Morning Light.” 12 x 16 Solid wood frame. 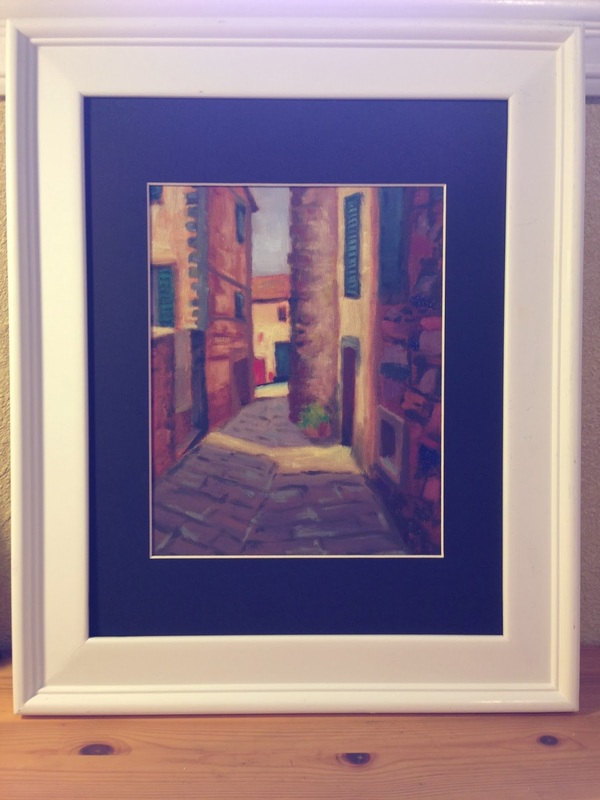 “Cortona Alley.” 9×12 framed inside an 8×10 white/black matted frame. Design tests that never made it.